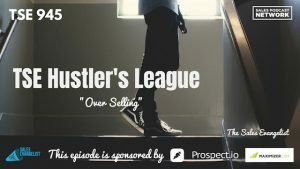 TSE 945: TSE Hustler's League-"Overselling"
You cannot oversell to your prospects. We’ve been talking all month about closing, and about what you can do in your closing efforts to give your clients exactly what they want. 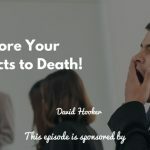 On today’s episode of TSE Hustler’s League, we’ll discuss how to improve closings and how to avoid overselling. The TSE Hustler’s League is an online group coaching program designed to help sales reps like you and me learn how to improve our skills. Each semester has a different focus, and for 12 weeks, we conduct trainings and discussions related to that topic. I met with a manager once who was on board with my product and we were scheduled to do a presentation. It turns out this manager had given the same warning to another sales rep in a different company before me. The rep promptly ignored the guidance and gave the same pitch he always gives, and the executive promptly left the meeting. Based on the guidance he gave me, I gutted my presentation. I knew they didn’t want to waste time on company history and I wanted to honor their time I wanted them to view me as a trusted advisor. I wanted to help them recognize a problem and help them solve it. Most sellers don’t do that, mainly because they don’t know how. I focused exactly on what the prospect said wanted. I didn’t oversell and I didn’t undersell. Because I quickly addressed the problems I could help him solve, we were able to get to “yes” quickly. Once you have an interested prospect, it’s tempting to keep trying to sell him more. You likely have so much more that you’d like to show him, but you must give him exactly what he wants. If he’s already convinced, skip over the junk and figure out the next step. Go to the part of your process where he can sign up. Obviously, you’re going to have some steps that you can’t skip, like making sure the proper people understand and approve the buying process. The buyer will likely want to interact with your presentation. He’ll want to ask questions, hear testimonials, and share stories. 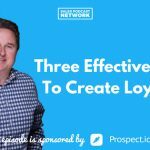 If you prepared well and you understood exactly what he was looking for when you arrived for the presentation, you’ll be able to provide the exact information the prospect needs to make a decision. Overdoing a presentation can ruin a great opportunity just like overcooking a steak can ruin a great cut of meat. Consider whether your presentation provides enough opportunity for your prospects to engage in discussion. Know your content and your industry. Understand the customer and the difficulties he typically faces. Then build your presentation around that knowledge. Don’t risk losing a deal because you oversold. My goal is to help you find more ideal customers and build value. I want to help you close more deals. I want to challenge you every single day to do big things. The upcoming semester of TSE Hustler’s League will focus on prospecting. We’ll give you insights and tools that will help you gain new customers. We’ll provide training and strategies that you can implement today to ensure constant flow in your pipeline.